If you are wondering about what is Second Life, and how can you get in Second Life and participate in our monthly meeting, this is an introduction about how to do the registration and how to get in Second Life and find InAEA! Select your Second Life first and last name, and a starting look of your avatar. 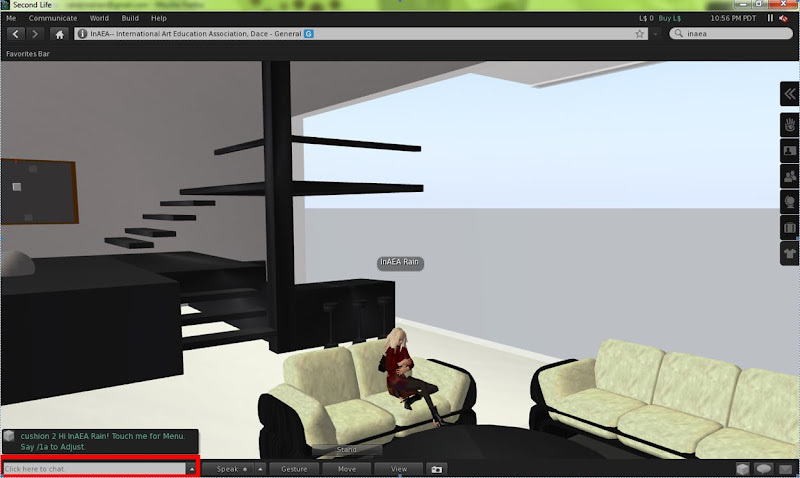 Don’t worry, you can easily modify it after you get in Second Life. 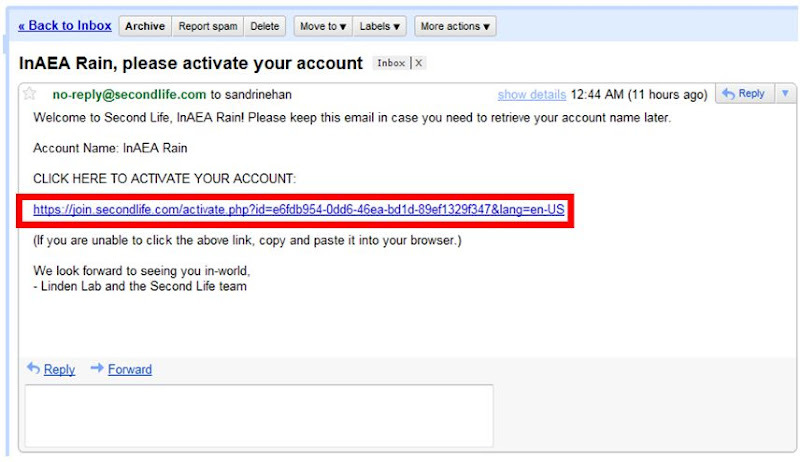 After you fill in all information, click on create account, and you will receive an email from Second Life. The link will lead you to this page. 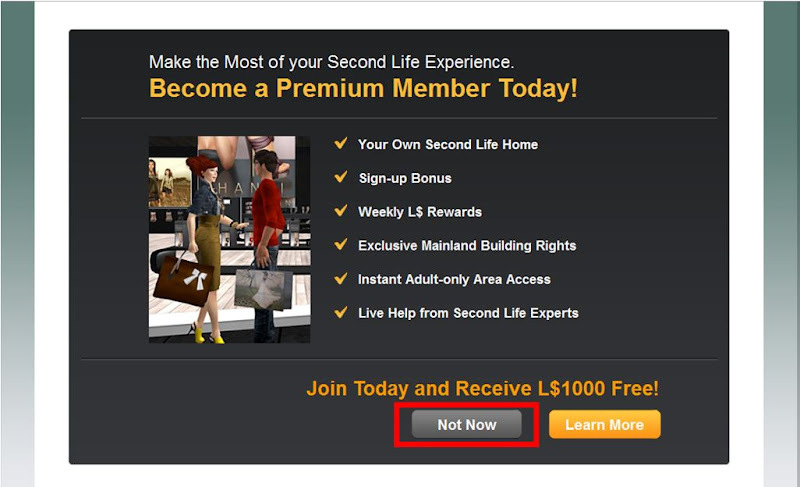 It is not necessary to be a premium member in Second Life now. You can upgrade your membership at anytime. You will be lead to this page. 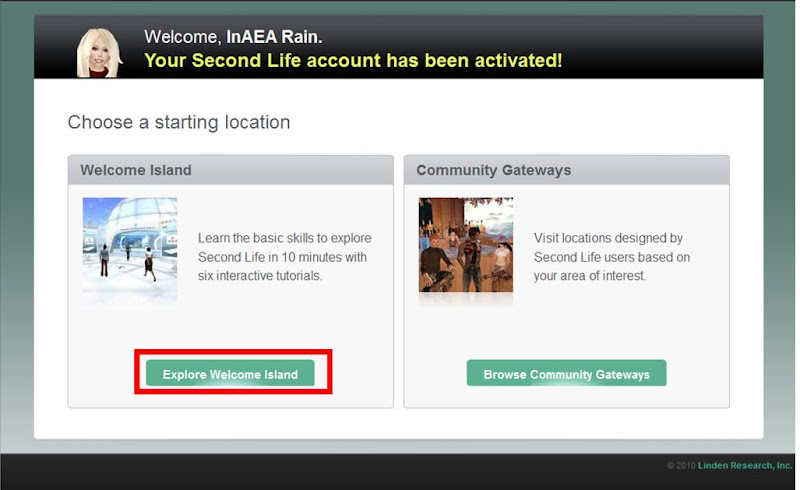 If you are not a gamer, please spend sometime to explore the welcome island to learn the basic navigation about Second Life! Now, save the Second Life software, and install this software in your computer! When you run this software, you will see a window looks similar like this. 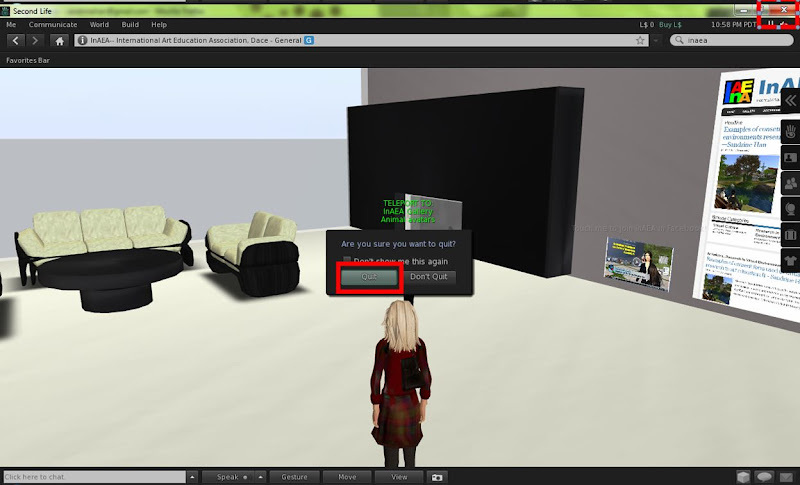 Just type in your “Second Life” first name and last name with password, you will be in Second Life in just a second! If you are a first time user, you will see this window. You will need to check the agreement and be able to continue. You can find a search bar at the up right hand side corner. 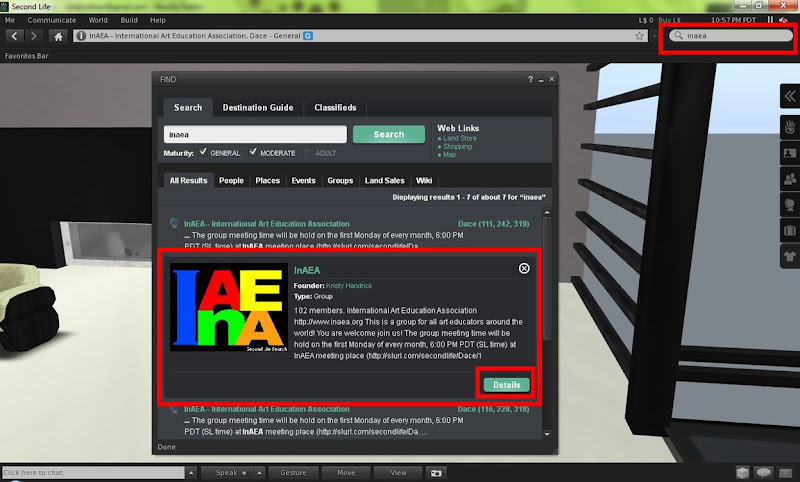 You can type in InAEA to find information about InAEA in Second Life. The first information about InAEA is the InAEA location. When you click on it, you will see more detail about InAEA location. You can simply click on Teleport to get to InAEA meeting place. Now, you are at the InAEA meeting place. You can use arrow keys to control your avatar movement. 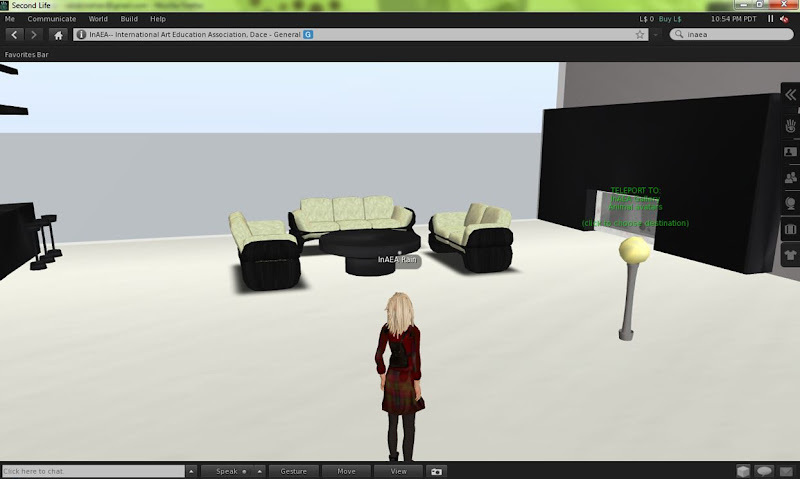 You can right click on the couch, and choose sit here to have your avatar sit on the couch. You can type in the communication bar at the down left hand side corner to communicate with other avatars. 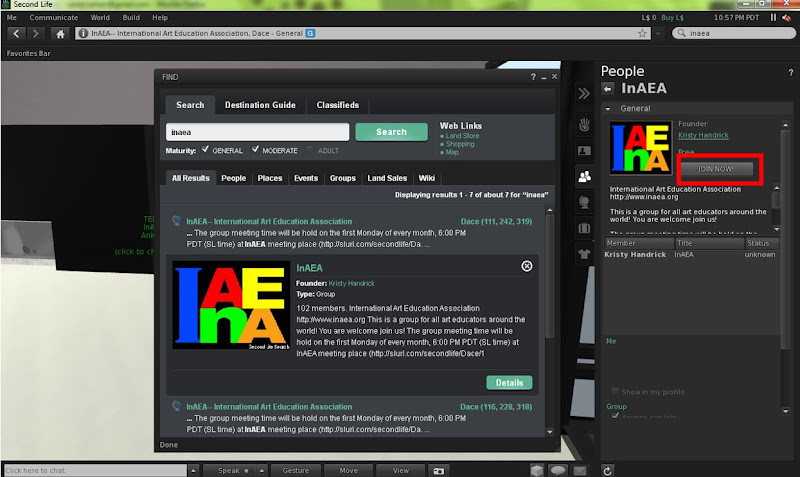 You can also find more about InAEA group from the Search bar. The second search result will be InAEA group. You can click on details to see more about InAEA group. 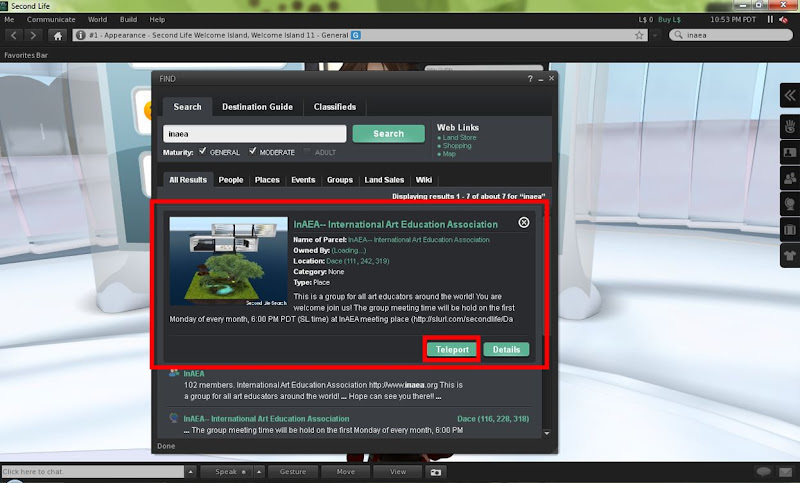 You can click on “JOIN NOW” to be a member of InAEA in Second Life! After you are a member of InAEA, you will be able to receive all the related information from the group notice, and you will be able to send out group notice if you want. 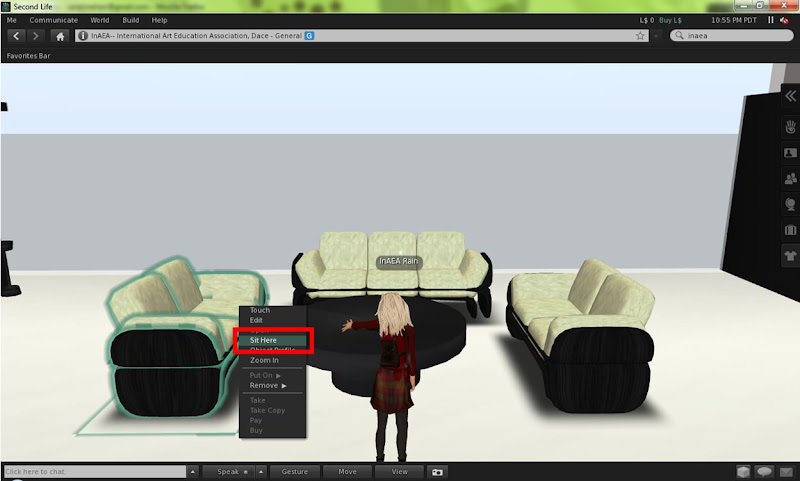 Oh, you can also set InAEA as your home in Second Life! 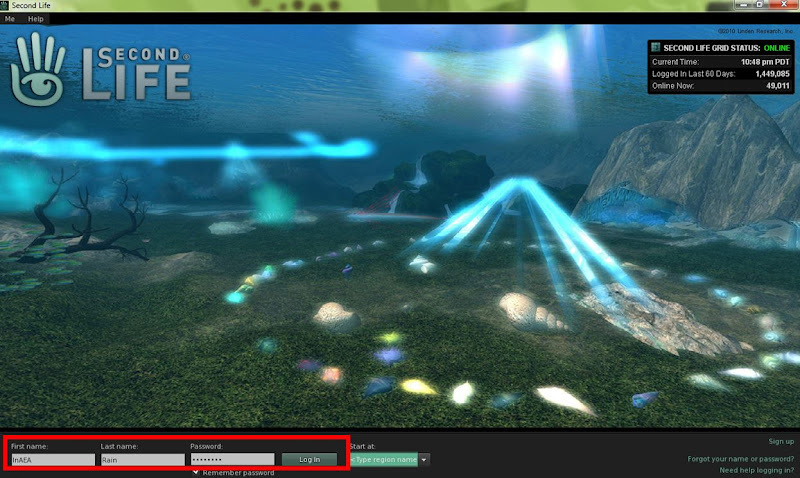 Finally, when you want to leave Second Life, just click the x at the window, and click on quit. 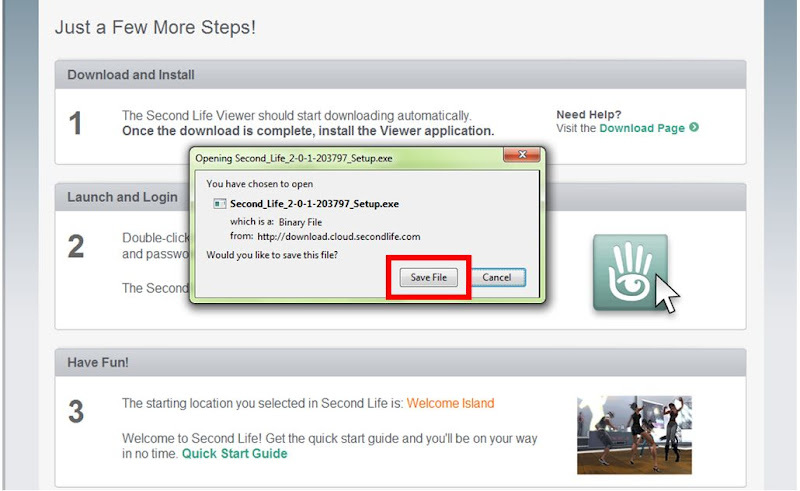 For more detailed information about how to use Second Life, please download the Second Life quick start guide below! If you need any assistant, please feel free to contact with Kristy Handrick in Second Life! :) Wish you have a wonderful Second Life!